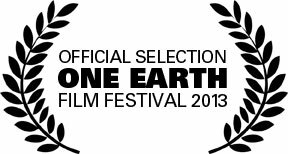 See One Earth Film Festival 2013 Official Selections below, in an at-a-glance layout. Download the 2013 film schedule as a pdf. For a list of films and links to descriptions and trailers, go here. Tickets/reservations available now! Most events are free; suggested donation is $5 per film or $15 for unlimited films. As seating is limited we request that you RSVP by selecting the films that you plan to attend. The views and opinions expressed in any film and/or discussion are those of the producers of the films and/or the persons making the statements during the film program and do not necessarily reflect the views and opinions of One Earth Film Festival or Green Community Connections or any of their sponsors. Soul Food Junkies explores the health advantages and disadvantages of Soul Food, a quintessential American cuisine. Soul food will also be used as the lens to investigate the dark side of the food industry and the growing food justice movement that has been born in its wake. The charming tale of a humble caterpillar trapped in a bug collector's jar and in need of a helping hand. AWARDS: screened in over 40 festivals around the world and has won more than a dozen top awards, including twice qualifying for Oscar nominations. Stories of TRUST: Calling for Climate Recovery, is about the perfect trifecta of youth, law and justice. This series of short documentaries features the voices of daring youth from across the country who went to court to compel the government to protect our atmosphere, in trust, for future generations. Calling for Climate Recovery is a 10-part groundbreaking documentary series of nine young people who bravely share their stories of harm, activism and hope around the climate crisis. These youth have gone to court to hold their governments accountable for protecting the Public Trust resources that are essential for their well being and survival. What they want is simple: real Climate Recovery Plans, guided by our nation's best science, not dictated by politics and fossil fuel lobbyists. They come from California, Montana, Alaska, Arizona, Iowa, Colorado, Pennsylvania, Oregon and Massachusetts, but their stories cross state lines and tell a common American story. A little girl steals the carrots from all the snowmen in town. The filmmaker's graduation film from the Mel Hoppenheim School of Cinema (Concordia University). AWARDS: Winner of the Hermina Tyrlova Award for Young Artist at Zlin Film Festival 2011. Official Selection, Rhode Island International Film Festival. Official Selection, Chicago International Children's Film Festival 2010. Follows the Chicago organization by the same name that removes discarded bikes from the waste stream and then rehabs the bikes for donation. Programming note: will be screened with Contested Streets and Bikes Belong (Saturday). Will also be shown with The Clean Bin Project (Sunday). Have you chosen to live a greener life? One man has and he has taken it one step further: he not only wants to live green but he wants die green as well and is helping others do the same. Dying Green, a short documentary set in the foothills of the Appalachians, explores one man's vision of using green burials to conserve land. Join filmmaker Ellen Tripler to discuss her film at this screening! Dr. Billy Campell is the town's only physician, and his efforts have radically changed our understanding of burials in the United States. His dream is to conserve one million acres of land. This film focuses on the revolutionary idea of using our own death to fund land conservation and create wildlife preserves. Programming note: will be shown with Designing Healthy Communities PBS Series: Searching for Shangri-La. Dr. Richard Jackson explains the link between our health and the way our communities — especially our suburbs — are designed. Obesity, asthma, diabetes and heart disease are all aggravated by the auto-centric way we live our lives today. It’s no secret that today’s generation of children are likely to have shorter lives than their parents because of their unhealthy lifestyles. It doesn’t have to be this way. Well-designed communities can improve both physical and mental health, as Dr. Jackson explains in this four-part public television series and the accompanying book. Searching for Shangri-La is part four of the series. Public health has traditionally associated the “built environment” with issues such as poor sanitation, lead paint poisoning children, workplace safety, fire codes and access for persons with disabilities. If we are what we eat, it can also be said that we are what we build. We now realize that how we design the built environment may hold tremendous potential for addressing many of the nation’s – childhood and adult — current public health concerns. These include obesity, cardiovascular disease, diabetes, asthma, depression, violence and social inequities. Almost everything in our built environment is the way it is because someone designed it that way. The project’s goal is to offer best practice models to improve our nation’s public health by re-designing and restoring our built environment. Our country faces grave challenges in environment, economy and health. The banquet is over. “Easy oil” has disappeared, so too other resources are being depleted. And global heating increasingly will threaten human and species survival worldwide. Economies built on ever increasing consumption have contracted and secure incomes are unlikely to be available to working people for a long time, if ever. And our medical care costs will continue to escalate for reasons of technology and population aging, but particularly as the tripling of obesity and doubling of diabetes rates show their health and cost effects. In Designing Healthy Communities PBS Series: Searching for Shangri-La, Dr. Jackson searches past and present America for healthy, sustainable communities of all sizes and shapes that can serve as models for the rest of the nation. His journey takes him to Roseto, PA, Prairie Crossing, IL, New York City, Charleston, SC, and the forgotten 1960s urban renewal project of Lafayette Park in Detroit, MI, the brainchild of 4 men, including visionary architect, Mies van der Rohe. Also included are walkability expert, Dan Burden, and the 1960s, humorous but insightful, candid camera-­‐style studies of people in public spaces by William Holly White. Programming note: will be shown with Dying Green. Imagine discovering that you don't own the mineral rights under your land, and that an energy company plans to drill for natural gas two hundred feet from your front door. Imagine having little recourse, other than accepting an unregulated industry in your backyard. 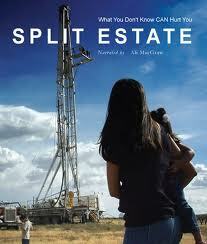 Split Estate maps a tragedy in the making, as citizens in the path of a new drilling boom in the Rocky Mountain West struggle against the erosion of their civil liberties, their communities and their health. This compelling Emmy Award winning documentary shows the dirty side of hydraulic fracturing and natural gas, an energy source the industry touts as a clean alternative to fossil fuels. Zeroing in on Garfield County, Colorado, and the San Juan Basin, this clarion call for accountability examines the growing environmental and social costs to an area now referred to as a “National Sacrifice Zone." This is no Love Canal or Three Mile Island. With its breathtaking panoramas, aspen-dotted meadows, and clear mountain streams, this is the Colorado of John Denver anthems — the wide-open spaces that have long stirred our national imagination. Exempt from federal protections like the Clean Water Act, the oil and gas industry has left this idyllic landscape and its rural communities pockmarked with abandoned homes and polluted waters. One Garfield County resident demonstrates the degree of benzene contamination in a mountain stream by setting it alight with a match. Many others, gravely ill, fight for their health and for the health of their children. All the while, the industry assures us it is a "good neighbor." Ordinary homeowners and ranchers absorb the cost. Actually, we all pay the price in this devastating clash of interests that extends well beyond the Rockies. Aggressively seeking new leases in as many as 32 states, the industry is even making a bid to drill in the New York City watershed, which provides drinking water to millions. As public health concerns mount, Split Estate cracks the sugarcoating on an industry touted as a clean alternative to fossil fuels, and poignantly drives home the need for real alternatives. This trailer includes footage not in the film. This scene was shot for 'Split Estate' but not included in the film. The filmmakers chose to focus the theme of the film on human health and had to eliminate many stories about contamination and animals that included domestic pets, livestock and wildlife. Step into the Monterey Bay Aquarium and you’ll be inspired to do something, anything, to preserve the oceans. It’s a stunning emotional experience. The aquarium has been working hard to transform its passions into actions that matter. Recently, it’s been all about climate change and the undeniable fact that global warming is a huge threat to ocean ecosystems. But how to get that across in 90 seconds without terrifying the children? Freerange Studios came up with this surreal yet simple story to motivate people to act while keeping a smile on their faces. Then they super-charged that strategy with the voiceover talents of John Cleese. is a 501 (c)(3) non-profit. is a production of GCC.